Pipe and head not included! Update: 12/31/2017 - All TOT kits will now come with a smaller 4-way cross fitting to help make this frame even more compact! 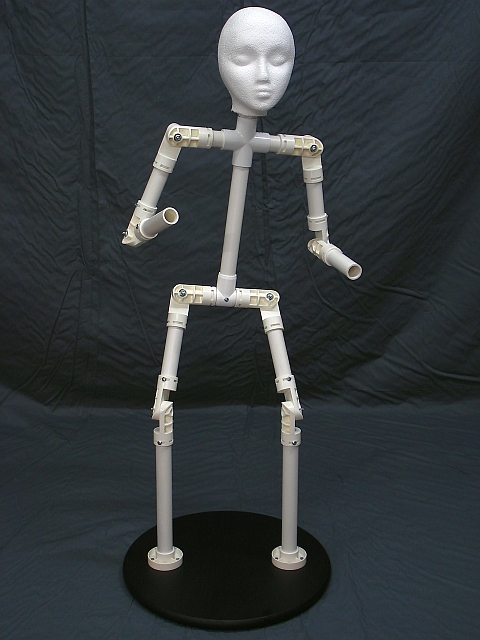 The TOT-KIT provides you with all of the fittings needed to build a completely adjustable child sized body frame. It includes a narrower "T" fitting at the hips that keeps the legs closer together to help keep the proportions correct. It features adjustable shoulders, elbows, hips and knees. The spine is not articulated but can be buy adding an additional SJ-1 Spider Joint if needed. 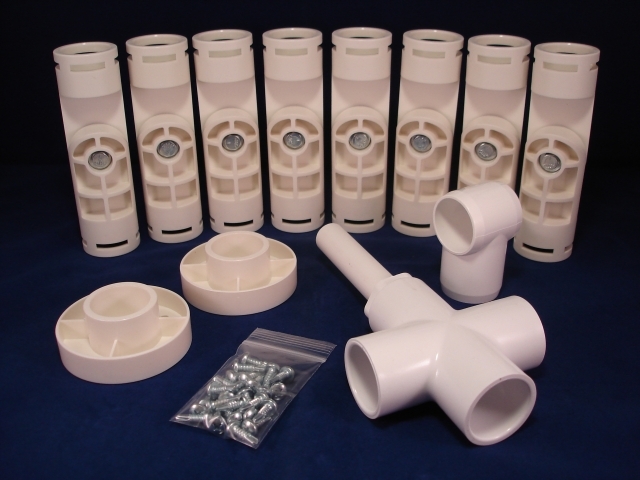 (1) 1 inch Schedule 40 PVC Slip-Tee fitting. 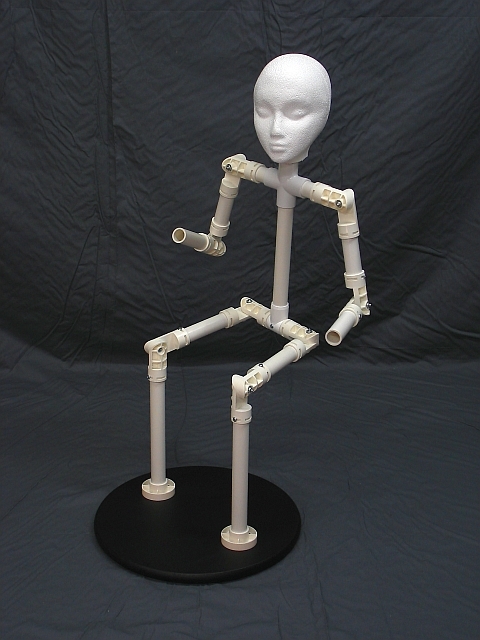 PVC PIPE IS NOT INCLUDED! Q: Can I use this kit to make a small, crouching prop? Or does it need a double spine to be more stable? A: Hello, the TOT kit should be fine as far as stability goes. My only suggestion might be to purchase 2 additional Spider Joints for ankles if you plan on having your character crouch very close to the ground. this will allow your frame to have the maximum flexibility.